All baptisms will take place on the first Saturday of the month at 10:30am. A baptism preparation class is required for all baptisms and will consist of instruction, paperwork, scheduling, and questions. The class will take place on the third Saturday of each month at 10:30am. You must be a registered parishioner for three months before the baptism or have permission from your current pastor. To register for the class, please contact the parish office at 770-461-0492, or email the parish secretary at patricia.turmel@stgabrielga.com. Sponsor Form: Baptism Sponsors are required to fill out a form and have it signed by the Pastor at their parish of registration. You can download St. Gabriel's form HERE. Candidates are required to attend classes in the Rite of Christian Initiation of Children (RCIC). 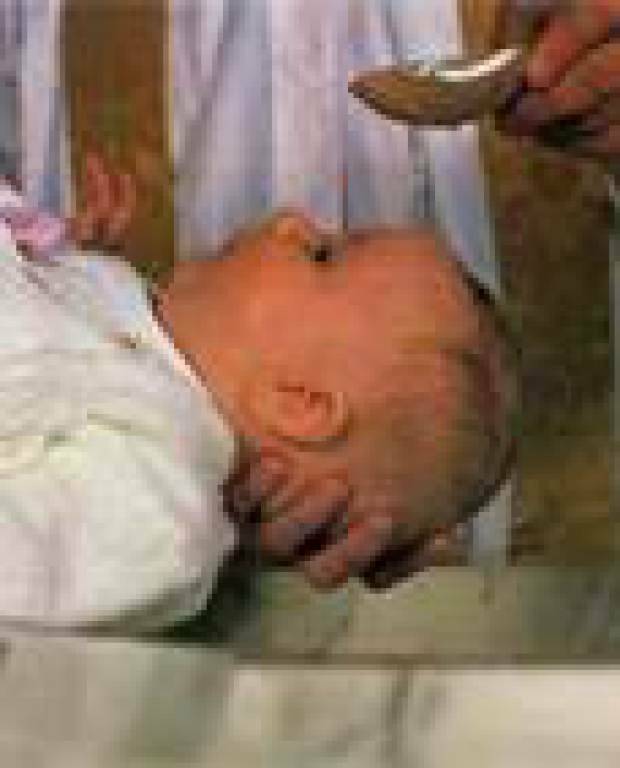 Candidates are required to attend classes in the Rite of Christian Initiation of Adults.